Anyone looking for comfortable and stylish accommodation in Brussels will not find anywhere more fitting than the only five-star design hotel in Belgium. This boutique hotel opened its doors last year and has since enjoyed unprecedented success. The building itself dates back to the 1920s and has been completely renovated and designed right down to the last detail by a collective of top European designers. 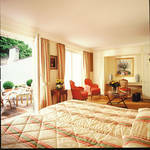 In 2008 it was hailed by Condé Nast as one of the 65 trendiest and most luxurious hotels in the world. The Belgian cuisine of the Be Lella restaurant, the cosmopolitan Black Lounge, the stunning bar, the well appointed Business Lounge and the relaxing wellness room complete your stay. Be Manos is located in the direct vicinity of the Thalys and Eurostar terminals and is just a few minutes away from Brussels' historic Grand'Place and other special places of interest. The Hotel Manos Premier offers a very different vision of five-star hospitality. Experience all the imagination and creativity of an owner who allows you to share his vision, lifestyle and hospitality  a new kind of hospitality. The promise of a preserved, almost secret place. An oasis of peace in the centre of a lively district. This is the essence of the Manos Premier, ideally situated in the heart of the prestigious Avenue Louise shopping and business district. Step through the glass doors and into the universe of Constantin Poulgouras. The warmth of a private residence. Here begins your journey into an exclusive world. 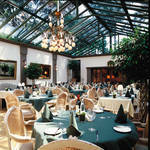 Crystal chandeliers, marble hall, antiques, baroque display cabinets, welcoming reception rooms. The interior decoration is both eclectic and precise, the atmosphere evokes the warmth of a family home. The Manos Premier strives for perfection in every detail: comfort and high-tech facilities, marble bathrooms and Internet connections, the stunning garden suite in which film and showbiz personalities feel right at home, and personalised service and insider tips.